Look around your Lincoln Park home and chances are you’ll be able to spot plenty of opportunities to keep your family safe. Here are the top items to make sure you have around the home and are in top shape and checked regularly. This home safety staple should be in a few places in your home; in your kitchen, in your garage, and in your laundry room. Having a fire extinguisher on hand isn’t going to do you much good if it’s broken or expired. Have your local fire department check yours. In the midst of a blaze would be the wrong time to discover that it’s not working. You should have working smoke detectors in each bedroom as well as any upstairs hallways and at least a few on the main floor of your home. Replace the batteries every six months or when daylight savings time begins and ends in your area. Keep a variety of adhesive bandages along with things you may need for more significant injuries such as gauze, iodine, rubbing alcohol, tape, surgical scissors, and antibiotic ointment. 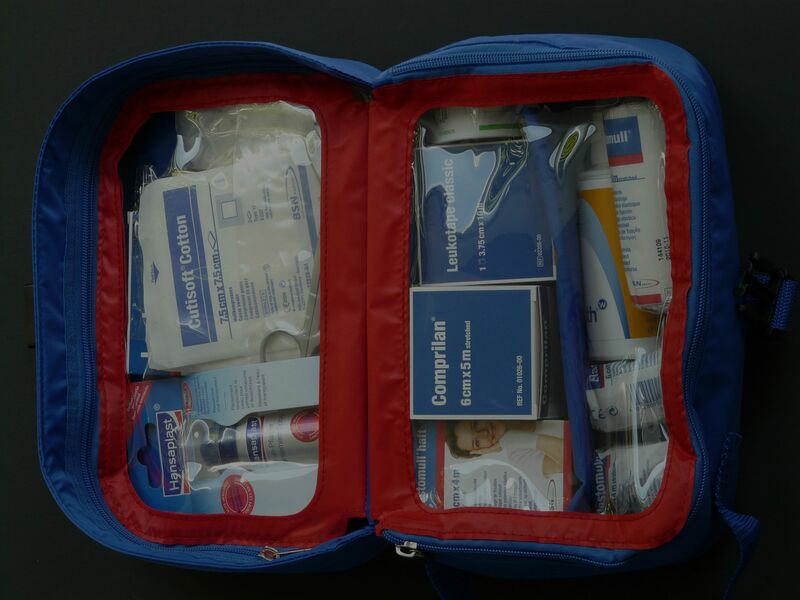 Check the stock and expiration dates of all the items in your first aid kits at least once or twice a year. Have an up-to-date contact list of emergency contacts like grandparents, family members, doctors, poison control, and babysitters in a visible area. Also, make sure to include your health insurance information in the event you’re not able to provide it. Carbon monoxide (CO), is the odorless, tasteless, and invisible gas that can be a threat to any home. Unsafe levels of carbon monoxide can emit from furnaces, room heaters, fireplaces, stoves, grills, and even a car left running in the garage. Keep these appliances in good shape and have them inspected regularly and install a CO detector near these appliances and on the main level(s) of your home. If your CO alarm beeps, open all the windows, and if it continues beeping, call your local fire department right away. Night lights aren’t just for kids, but they can help prevent falls in the middle of the night, and battery-powered ones will come in handy as you’re gathering flashlights and candles when the power goes out. Find a pre-assembled one online or DIY for one that’s perfectly suited to your family and the Chicago area. You’ll be thankful for your disaster kit if you find yourself in a power outage for several hours to several days. Once you assemble your disaster kit, don’t ignore it! Replace expired items and restock any items that you may have grabbed throughout the year. If you’re assembling these items yourself, store them in a waterproof bag or backpack so you can easily grab it in an emergency. Can you check all these items off your home safety checklist? If you have some unique situations or questions, reach out!